Now I’d mentioned before that if I was getting a Wii U, and had to invest in a launch title, this game would be on the list. The Wii U version did look pretty good and from what I understand is an HD version of this title here with, I’m hoping, slightly better looking models. Visually the game looks okay. I’ve seen better Wii games, but being this late in the Wii’s development cycle I’m prepared to cut a little slack as it probably wasn’t given near as much attention as the Wii U version. That being said, I did actually like the game. I don’t like it as much as Transformers: Fall of Cybertron. In fact I’d say it’s not even close to feeling as epic. It does, however, manage to capture one very important ingredient, and that’s capture the feel of the show it’s based on. Not only does it do that, but it does that extremely well. Let’s take a look. The game is actually set within the show’s second season, but exactly where no one can seem to tell. The roster on the Decepticon’s side doesn’t quite mesh with what they had on the show in that season, but more reflects which voice actors were available. I suppose you could treat it as a movie, set during the second season timeframe but completely independent and on its own, kind of like the DragonBall Z films. The story itself is based around a Dark Energon meteor that has shown up in Earth’s orbit. 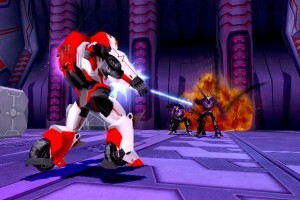 The Autobots go to investigate and stop the Decepticons who are towing it along with their ship, The Nemesis. There’s an all out brawl on the meteor before it splits open, exploding and scattering the Autobots back to Earth. 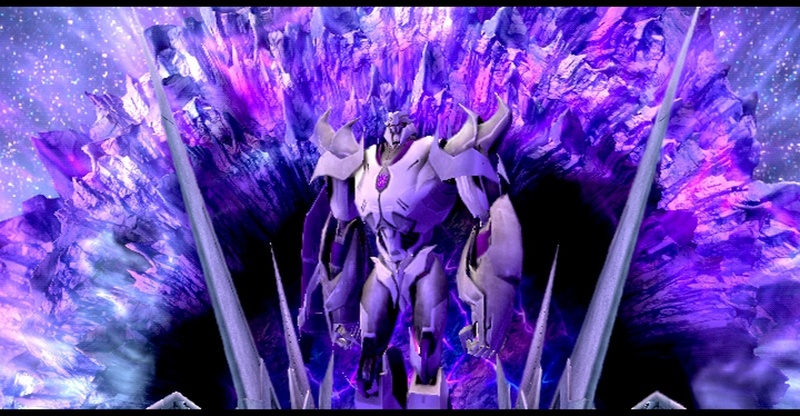 What has unleashed is Thunderwing, an agent of Unicron within the Prime continuity. Basically it’s up to the Autobots to regroup and stop the Decepticons and their newest foe, Thunderwing. 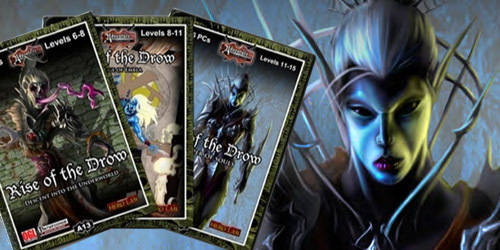 The game follows along with the story beats from the show. The writing is very similar with only a few really cringe worthy moments as even the show might have better terminology than what they used in the game for a few things. It’s not deep, but it does its job of emulating the show it’s based on very well. 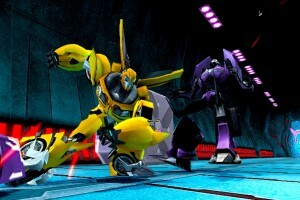 Story mode unlocks characters for use in multiplayer as you progress, but only the Autobots available to play with initially. You’ve got three options in multiplayer: Brawl, which is one on one and ends with a knockout, Energon Battle awards you points based on collecting Energon versus the other player, and Emblem Match is modified capture the flag. It’s all split screen and there’s no online options. You can play against the CPU as well so there is that, but overall the multiplayer was pretty underwhelming as it all boils down to melee attacks more than anything else, which I’ll get to in gameplay. Visually it’s a mixed bag. While it does a decent enough job emulating the show, there isn’t any noticeable frame rate drops and so on, the game doesn’t look like a game that’s been optimized for the Wii. At this point in the generation there’s no real excuse for how this looks. My Vita games look way prettier than this. 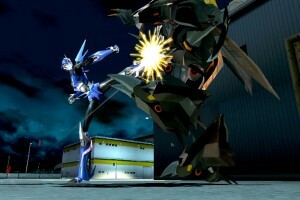 I’ve played PSP games that are a bit more solid on visuals. Some tweaking here and there could have pushed this into looking like a really good title as the Wii makes its exit. As it is, it’s just passable. And this isn’t even with it hooked up to my HDTV, this was on my older TV set we kept just for the Wii and the PS2. On the big screen it would look even worse. The models, while jagged and rough looking, do resemble the show’s version in pretty good detail while they’re in motion. I hate to say it, but the human kids look better than the Transformers do in the cutscenes. Outside the cutscenes it looks a bit rougher. The environments all have distinct looks which is good, but you can see where corners were cut to make the game. I’m giving it a hard time here, but it’s more because I don’t think a late generation Wii title should look worse than games that came out for the PS2 or even a PS Vita game. Audibly they’ve done a great job. Every major cast member from the TV show makes an appearance as the character they voiced: Peter Cullen, Frank Welker, Jefferey Combs, Kevin Michael Richardson, Sumalee Montano, Tania Gunadi, Josh Keaton, Andy Pessoa, Steve Blum, and Gina Torres to name a few. It’s a great cast and they do a fantastic job bringing the characters to life. The script is okay, and Prime, while it has much better writing than the Unicron Trilogy of shows, is still very much geared for kids with the idea of adults watching too so it tends to skim. The writing and dialogue still has better moments than most of the live action films, however. The sound effects are what we’d expect from those based on the show from the “Ëœtransforming’ sound to their weapon effects and the land bridge. The music feels like it fits with the show as well. You’ll be using the nunchuk along with the Wiimote for this game. The analog stick handles your movement, and left and right on the Wiimote adjust the camera. A button jumps, B button fires your ranged weapon, Z is to target an enemy, down on the Wiimote activates your shield, and C on the nunchuk puts you in vehicle mode where the down direction then becomes a temporary booster. To attack with melee instead of firing your weapon you shake the Wiimote like you’re swinging a stick in timed motions to get combo attacks. Sometimes you throw in the A button for different characters like Arcee to get a jump kick attack. Holding down B charges up your weapon for a super blast. And after you store up enough damage you get the option to unleash more damaging attacks where you hit harder and move faster by hitting the A and B buttons at the same time. The controls are pretty straightforward but there seems to be a delay. I tried a few different Wiimotes on this and it happened on every one of them. You can compensate for it, but until you do it will get frustrating. 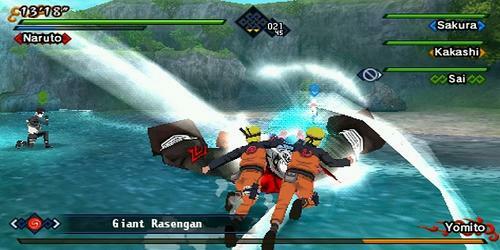 The game uses a typical action brawler with shooting mechanics for advancing through levels with a few vehicle only sections thrown in to break it up a bit. Melee attacks rule the day, as if you don’t get your shield up in time there’s no way to block them and you’ll end up flat on your back. The same goes for your enemies, though you can continually pummel them to get through their shields. It really feels like these high powered ranged weapons are just tacked on and don’t do nearly enough compared to melee damage. This especially makes fights against air based Decepticons drag on far longer than they should. The shield tactic works when you manage to get to your button in time, but unfortunately there is that bit of lag between when you hit the button and when it happens in-game. It can be frustrating, but the game makes up for this a bit by being fairly forgiving. The levels are pretty much linear from point A to point B with a ‘grid’ keeping you from really exploring too much, plus being timed really puts you under the gun to stop marveling and get moving. I had a few issues with the driving sections where the hints with the other characters telling you to do one thing were what you wanted to do about 10 seconds before. For example, in an Arcee level while you’re chasing after Airachnid, Jack yells out to boost to catch up, however if you do that when he tells you to, you’ll plummet to your death. At that point you should be jumping, not boosting. It’s a little thing that can translate into a big thing if you’re looking to your in-game friends for hints on what to do. 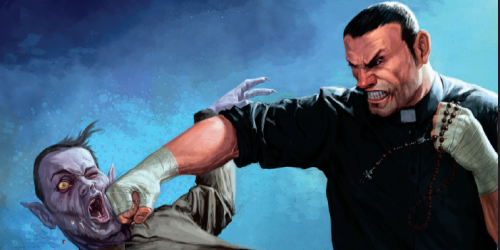 You do get graded as you move through the story in the game. You get judged based on your time, emblems you’ve collected, and damage taken, as well as these pointy pyramids that you get from destroying objects within the level. You have to get a certain grade to unlock what the game uses as trophies, concept art and character models you can check out in a gallery. Multiplayer is okay. Overall there’s a decent amount to keep someone interested, especially if they don’t ace every level on the first run, and you can pop in to any level you want to just play that level over. That being said, you absolutely cannot skip cutscenes even if you’ve played the level before, which can be annoying. One thing I thought was odd was also not being able to run different characters through the missions as that would have been a big bonus considering the levels aren’t really designed to cater to one bot over another. As far as balance goes, you’re looking at a mixed bag. Enemies don’t seem to get stronger, but to increase difficulty they simply give the bad guys shields you have to break or they dodge ranged attacks and then they throw more of the enemies at you. This can get monotonous. The boss fights aren’t necessarily harder than the other but they do require different tactics and even changing tactics mid-fight to make it through. There’s a decent amount of content as far as an action title goes and if you have more than one person in the house who wants to challenge you in bot on bot violence you can always do split screen multiplayer. I think at full price it’s decent for the money and it’s a mostly solid title for the Wii even if it does feel a little old and dated already. Overall, other than tell a decent story and a new one at that, it’s based off a franchise that’s been running since 1984 and really they didn’t do much of anything new with it at all. I will say that the short mission times and being able to pop in and out of them and replaying ones I was annoyed with my score on was nice. It’s the first time I’d powered on my Wii in a long time and it got a nice workout out of it. 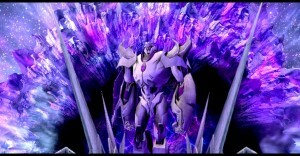 Was I as engrossed as I was with Fall of Cybertron? Not really, but I did enjoy my time with it and will go back to it again. As far as appeal goes, most people know this is coming out on the Wii U and that it’s going to look better. Some stores aren’t even carrying this version of the game at all, just the Wii U, DS, and 3DS versions. I think this version will get a pass from a lot of people as they move on to the bigger version, but I do think there are some people who’ll grab this for their kids if they can find it. I really wish this game had a bit more polish to it. The controls could be a bit tighter, the attacks far less dependent on melee and a way to get out of the way other than hoping you hit the shields in time. Other than that I do think it’s a solid title that kids or fans of the Transformers Prime show will enjoy. If you’re comparing it to Fall of Cybertron, like I have been because I do have both, it’s an unfair comparison. While it’s a little easy and a little clumsy, it is still a decent game. 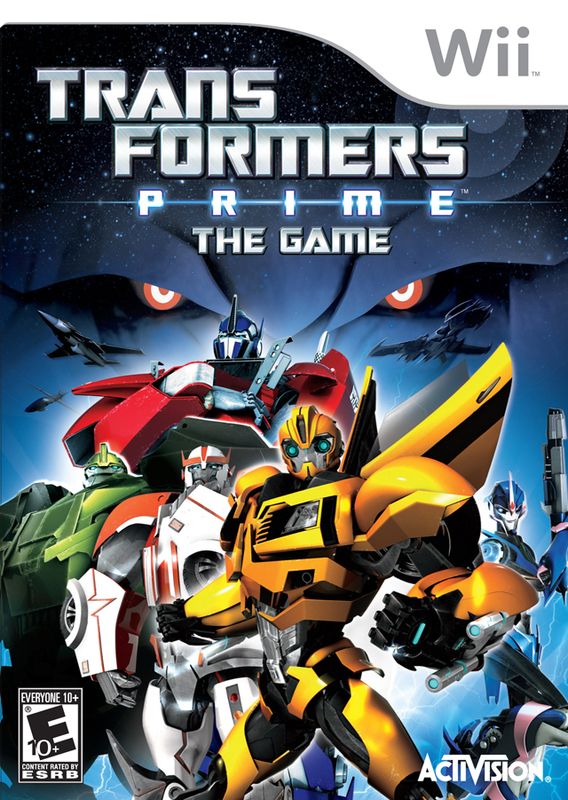 If you’re a Transformers fan or a fan of the Prime show, you’ll actually enjoy the game. If you’re looking at it more from nostalgia, you might be a little disappointed. 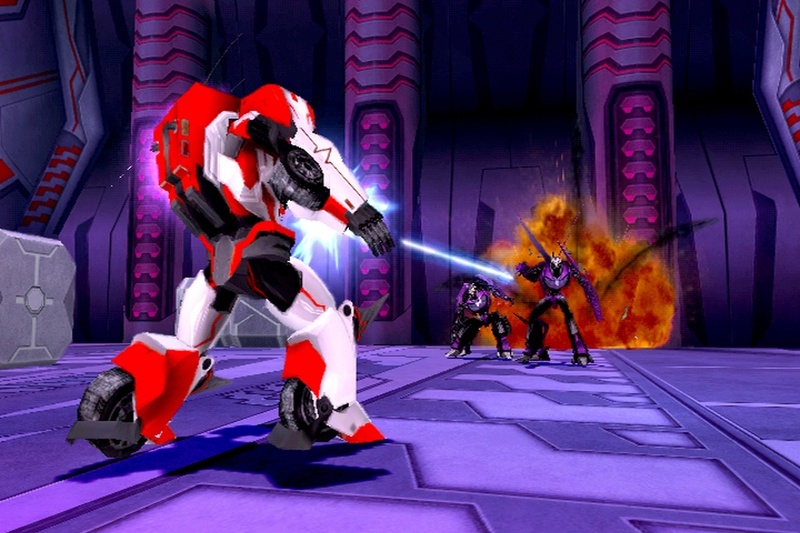 Transformers Prime: The Game manages to capture the look, roughly, and feel of the show it’s based on. Playing the game feels like you’re getting involved in an extended episode or film based off the show. While rougher around the edges than the Wii U version will be, this version still manages to hold its own and deliver an interesting experience. 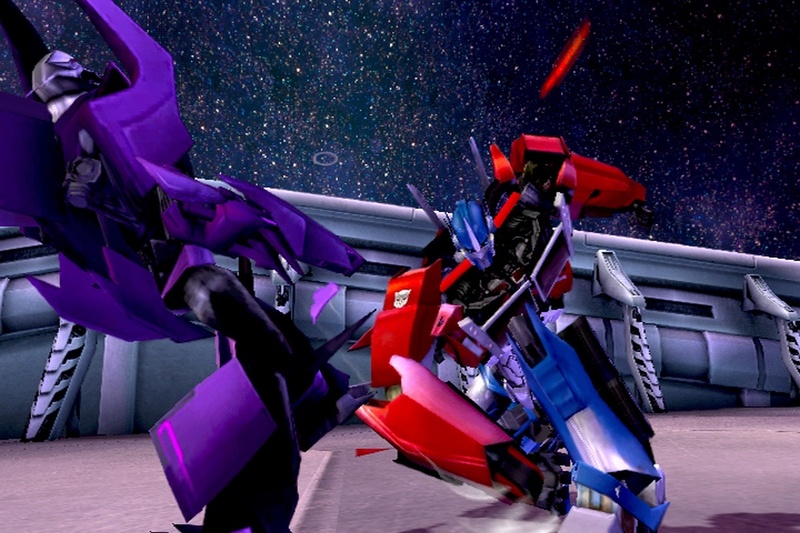 While not as tight combat-wise as the big brother title Fall of Cybertron released earlier this year on the PS3 and 360, it’s still quite a bit of fun. A little tightening of the controls and combat would have been nice, as well as a full blown online multiplayer versus split screen only, Transformers fans who only own a Wii should be satisfied with this one.